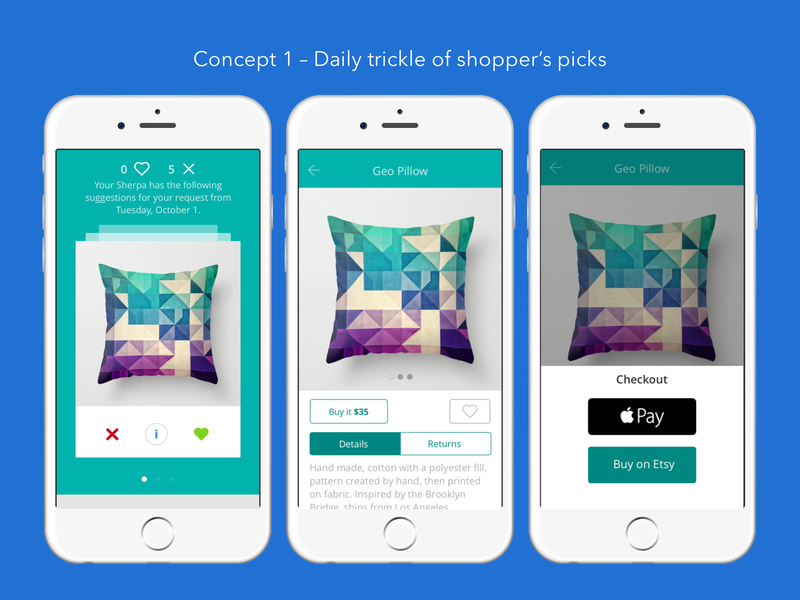 Today’s consumers expect mobile apps to be fast, easy to use, and delightful. Help your business succeed with a mobile app design company such as Toptal and work with mobile app designers for iOS, Android, and cross-platform needs. Create contextually relevant information that allows people to have a great user experience no matter where they are. Timing matters. Receiving notifications at the optimal time can re-engage users and create a delightful and intuitive mobile app experience. Custom design for native iOS or Android apps follows comprehensive design guidelines, while hybrid apps can be designed to work for any experience. Browse mobile application designs that Toptal mobile app designers have completed for top companies around the world. Here is what Toptal's leading mobile application designers are saying about mobile app design and development. Adobe XD vs. Sketch – Which UX Tool Is Right for You? By 2020, mobile apps are expected to earn 189 billion US dollars via app store downloads and in-app advertising. As of March 2017, there were 2.8 million apps on the Google Play Store and 2.2 million apps on Apple’s App Store (the two biggest dominators of the mobile app store market), and these statistics are rising significantly. Mobile apps are a fast-growing market. When we factor in other app stores (and other mediums such as TV, wearables, and smart home devices), it’s easy to feel enchanted by the opportunities to be reaped and inspired by the groundbreaking ways that users are using apps today (examples of which include voice interactions, cryptocurrency trading, augmented reality gaming, any app that lets its users order something instantly—like Uber or Deliveroo—and so on). Applications can experience higher conversion rates (compared to mobile websites) for a variety of reasons that we’ll discuss in a moment, so whenever a user is visiting a mobile website (especially if it’s one that the user visits frequently, such as a social media website or trusted eCommerce brand), they’re often thinking: “I wonder if this is on the app store? An app might be faster and easier to use.” For example, eCommerce applications experience 3 times more conversions compared to mobile websites. 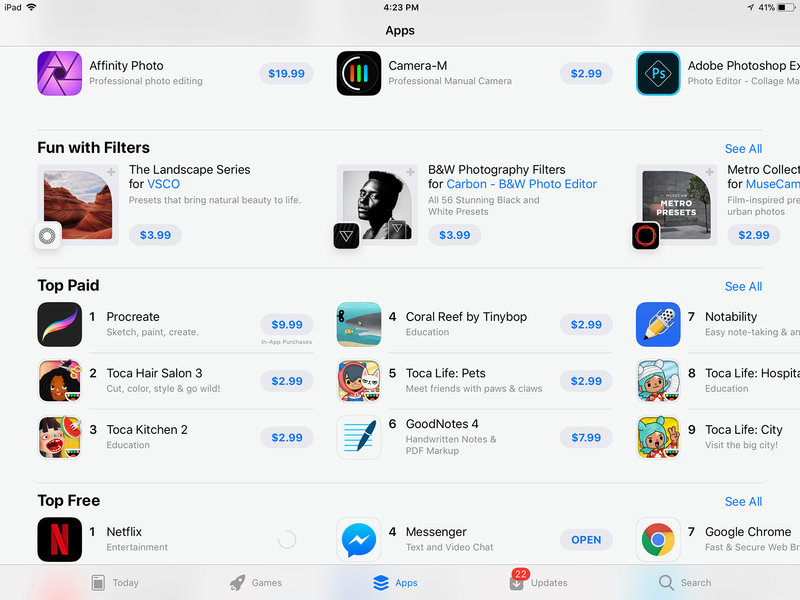 Businesses that don’t offer an app (or have an app with substandard UX) could be turning away a large number of potential customers, who then could consider a rival business instead. Once rivals establish trust with the customers that were lost, it’s unlikely that the losing business will have the chance to scoop up those customers again. 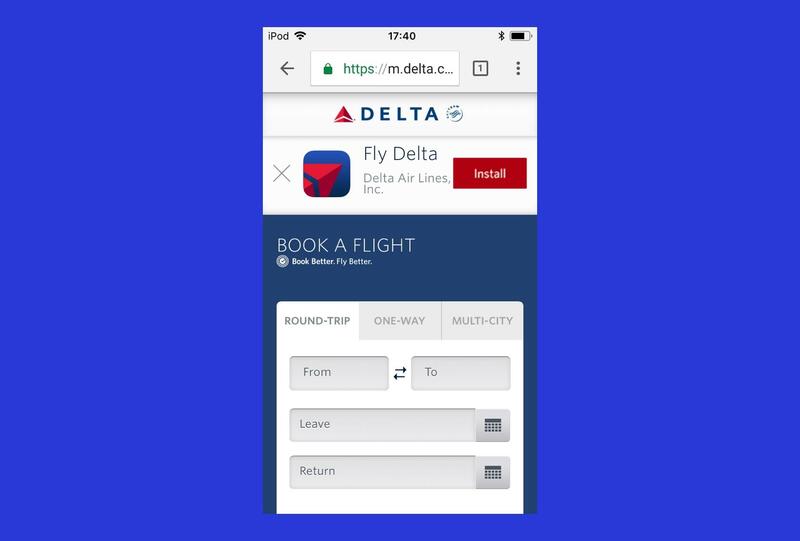 Delta's flight booking experience is made easier by offering a native app experience. On the flipside, your business can gain a competitive edge over rival companies by hiring an app designer that can introduce new and better ways to engage users, for example taking advantage of native hardware where mobile websites can’t. No matter how useful, enticing or affordable an app is, it means nothing if the app isn’t exceptional in terms of usability (how well the user is able to use the app) and accessibility (how well the user is able to see, touch, and in some cases, hear the app). Apps that are slow or crash regularly will also find it hard to maintain a high number of installs, so app performance is another important consideration. 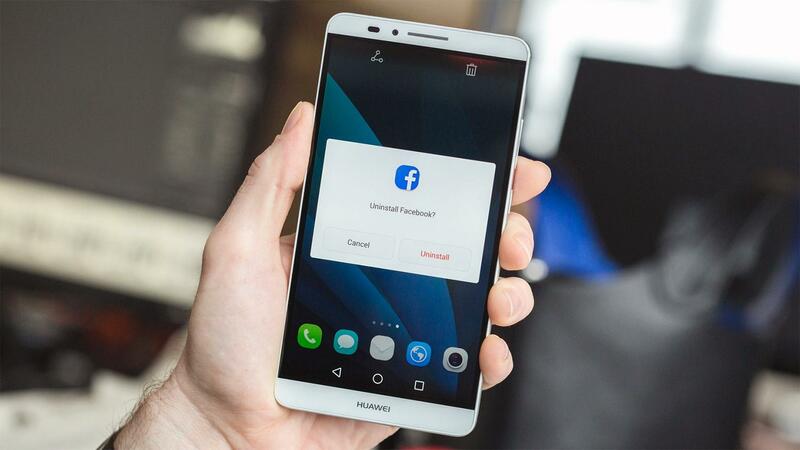 Helpshift describes how 62% of users will uninstall an app that has errors or crashes, but what’s even more shocking (although not surprising) is that 23% of users will abandon an app right after installing it. App users (much like website users) are not tolerant or forgiving, so when considering app design services, you must hire experts. Businesses that want higher conversions for their apps should consider hiring an application design consultant who can first identify areas of improvement. A platform ecosystem is the way that an app operating system lends native features like location services and credit card scanning to applications to reduce development costs. Whereas website designers might have to build these features from scratch, or integrate with a service that offers these features, a native application would have direct access to the device hardware, meaning that users can interact with stored media, the device camera, location services, fingerprint support and facial recognition with ease. Websites can only access stored media, the device camera, and Apple Pay/Google Wallet, but even then, this relies heavily on whether or not web browsers support said features. Not only can these ecosystems make apps easier and faster to build, but it means lower development costs. The features are already there, it’s simply a case of accessing them, and a skilled app design consultant will know exactly where these fit into your app. 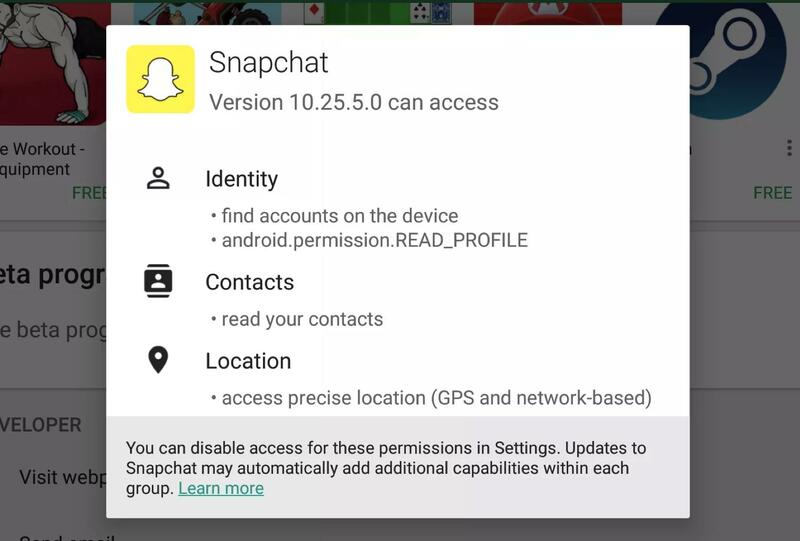 Snapchat can read your contacts and access your camera and location. When it come to monetization, a native application is better in almost every way. Native applications can be purchased and installed via an app store for a one-time fee (iBooks and iTunes for Apple devices, and Google Play Store for Android devices), or in-app purchases can be offered via the app itself. A website comes with more requirements that relate to security and payment providers and must also be responsive; however, native applications can be easily integrated with the device’s own payments system. Apps reside on the “home screen,” so users are reminded of its existence. Apps are specifically tailored to the device, whereas a responsive website has to cater for all screen sizes and may fall short in some scenarios. If your web analytics tells you that visitors/customers are not returning, despite effort to boost this metric, it might be time to consider that a native application might make the customer journey better by creating more incentive for users to return. According to Statista, eCommerce was a $409 billion dollar industry in 2017, so if you already have a mobile eCommerce app, you’re in luck because eCommerce stores drive three times the amount of conversions via a mobile app compared to a mobile website. 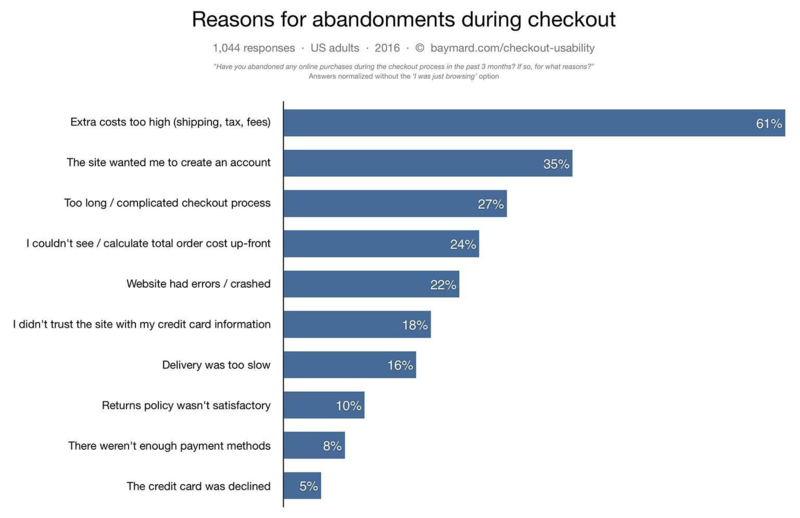 But that being said, 69.23% of online shopping baskets end up abandoned to surprise costs at the checkout, forced customer registration, complicated checkout flow, and even errors that simply halt sales from going through. As you can see, most of the reasons are attributed to substandard eCommerce UX that leaves users frustrated. Some user experiences only work well as an app, or have somewhat limited use on desktop. Let’s take Instagram, for example, or Snapchat, or really any app that involves photography—the entire concept revolves around taking photos and uploading them for others to see, where the photo taking aspect is obviously much harder on desktop. While that’s a fairly obvious example, you’d be surprised at how many user experiences are designed for desktop-only. There was a time when airlines required printed paper boarding passes (otherwise they weren’t valid), but since holidaymakers don’t typically take their computers abroad (or a printer, for that matter) and airlines won’t allow you to check in until a few days before your flight, this was a huge inconvenience. Airlines remedied these inconveniences by building mobile applications that took advantage of QR code technology so that boarding passes could be scanned digitally. On the other hand, being able to accomplish a task on an app doesn’t conclude that it works as an app. One example of this could be Evernote Hello, which was discontinued after users agreed that exchanging business cards digitally was more difficult than in real life, especially since users were encouraged to make the other person input their own details into your device. Users were also required to take a photo of the other person. It was very awkward, and didn’t work as an app (or even a concept) at all. What businesses can take away from this, is that prior user research can help to shed some light on whether or not a website, service or subscription should exist as an app. An app design consultant can not only clarify which direction to take, but help to steer the wheel in the right direction once the design process begins. User research can help to make both business and UX-related decisions. In fact, in the digital world that we live in today, UX should be somewhat driven by business objectives, and businesses should be heavily invested in UX if they are to succeed. Business and UX have a harmonious relationship where user research is conducted, first to identify the nature of the app and concept of the business overall (i.e., what problems are people having in their everyday life, and how can an app help them? ), then later to improve the existing app (i.e., the business and app concept is validated; however, the app itself has usability or performance issues that are failing business objectives). The reasons listed above are classic telltale signs that your business might need an application, so whether you want to take on a rival company with a better app, or you want to take advantage of a platform ecosystem, or simply your current app is underperforming, a top-notch application designer from Toptal can help.